You’ve decided that you’re going to build a new website. Where to next? Choosing a website platform can be daunting, especially if you aren’t armed with a ton of technical know-how. Today, we’d like to explain 6 reasons why we feel that deciding upon WordPress for your website is a great choice. WordPress was first launched way back in 2003, that’s fourteen years ago now. Over that time the platform has grown in terms of what it can do and how good it is at doing it. It started off as a blogging platform and while it is still a great option as a platform for a blog, today many websites are powered by WordPress, whether they have a blogging element to their site or not. Not only has WordPress been around the block, growing over the years, it has also grown in reliability. In fact, the platform now powers 25% of the internet. That’s a pretty impressive statistic. When you’re choosing a platform for your website, whether for business or pleasure, you want to be sure that the platform you choose is reliable. WordPress certainly delivers on this count. One of the great things about WordPress is the degree of customisation it affords. You can literally do anything you want to do with a website within WordPress! The only thing that may limit you is your ability or the skill of your web developer to bring these customisations into being. Luckily, at Effector, our web developers are top notch and know their way around WordPress with their eyes closed! If you’re looking for a user-friendly platform, you could do worse than choose WordPress for your website. It really is a very easy platform to use. As mentioned in the above point, you are limited only by your skill in terms of creating any website you want. However, WordPress is easy to set up even if you’ve never built a website before. You can put together a basic website in a few hours. Maintaining the website is also very easy. It is clear where to go to insert new content, to reply to comments and to install updates. When it comes to choosing WordPress for your website, another great advantage is the plentiful supply of plugins that you can add to your website. A plugin gives your website extra functionality. There are excellent SEO plugins which help you to ensure that the content you create is optimised to be found by search engines, there are analytics plugins to check your website performance from within the platform. I could go on and on – and on. These plugins can help turn your middle of the road website into an incredible sales converting machine. Another great reason to choose WordPress for your website is that you don’t need to worry about mobile optimisation. Yes, we have written before about how important mobile optimisation is for any website now that so many people choose to access the web via mobile devices. However, there is no need to worry about WordPress because they have done all the hard coding work for you. Each and every website built on WordPress is automatically optimised for mobile devices. That’s one less thing for you to worry about – yay! We have presented WordPress above as being a very intuitive, user-friendly web platform on which to build your website. However, we all run into problems at some time or another and when we do, it’s important that we’re able to find the answers to our questions without delay. On account of WordPress’s size and market share across the internet, it is likely that even within your immediate circle, you can find someone who knows how to solve your problem. If not, there is a huge WordPress community online where you can find support on all sorts of issues. There are many guides and tutorials on how to troubleshoot various issues. In short, if you decide upon WordPress for your website, you’ll never be alone in your choice. When it comes to choosing a platform on which to build your website, WordPress is a good choice for all of the above reasons. People often ask which web platform is best. While there is a growing range to choose from, WordPress tends to tick all the boxes. 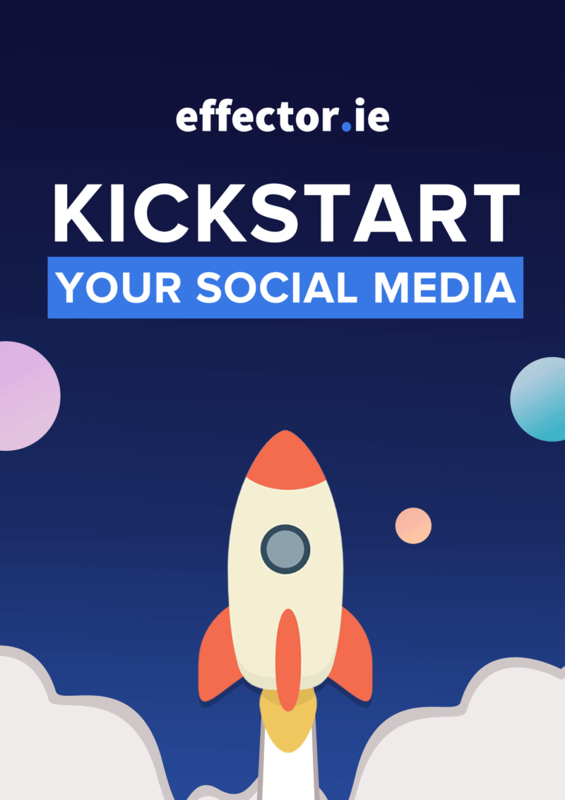 At Effector, we believe that functionality and reliability are two of the most important elements for any website and WordPress delivers on these every time.